My birthday was last weekend and I decided that I wanted to have some waffles. I rarely use my waffle iron because I find it to be kind of a pain -- it's small (only makes two at a time) and I find that it cooks rather unevenly (see photos) and slowly. But, I really wanted to try these essential raised waffles so I went for it. I used the recipe as written on the ever-wonderful Smitten Kitchen who lays out a nice little history of this waffle recipe going all the way back to 1896. What I have here is nothing new to the world of cooking, but new to me! These waffles are light and crisp - they are not heavy or doughy. They have a lightly distinct flavor from the yeast. Some people may find the idea of leaving the batter at room temperature overnight worrisome, but not me. I'm adventurous like that. Go ahead and get these going on a Friday or Saturday night and then you'll have some pretty amazing waffles the next morning. This recipe made 10 waffles for me. It will depend on the size of your waffle iron. They are best served with some warmed real maple syrup and maybe some berries if you have some in the freezer. This is some serious comfort food - cheesy, creamy, and buttery. The flavors of French onion soup wrapped up in some noodles and extra cheese. I've seen some similar recipes floating around on the internet for a while now and have been itching to make this mac n' cheese. I wanted to incorporate as many flavors from French onion soup as I could, but I also wanted to keep this meal vegetarian - so I didn't use any beef broth. It turned out pretty amazing. The super sweet onion intertwined with the cheesy pasta was perfect. I used Gruyere cheese, but I combined it with sharp white cheddar so that it was not over powering (and affordable -- Gruyere is pretty pricy and pungent). Thyme, vermouth, and buttery breadcrumbs pulled in a lot of the soup flavors I was looking for in the dish. The result was a decadent pasta dish that we thoroughly enjoyed. This recipe will feed 4 to 6 people as a main dish (feel free to make a nice green salad for the side) or make some delicious lunch leftovers. Sadly, I've missed a couple weeks this year of the 12 Weeks of Winter Squash -- but I made sure to be back for Week 12! For the last week I'm featuring one of our favorite winter meals and one of our favorite ways to use up winter squash -- a spicy, smoky, yet sweet chili (from the squash). We like to use ground bison in this chili, but you could use beef or turkey if you prefer (or if you can't find bison). For this version I used a kabocha squash, but sugar/pie pumpkin, butternut squash, or any other dense/sweet winter squash would work. 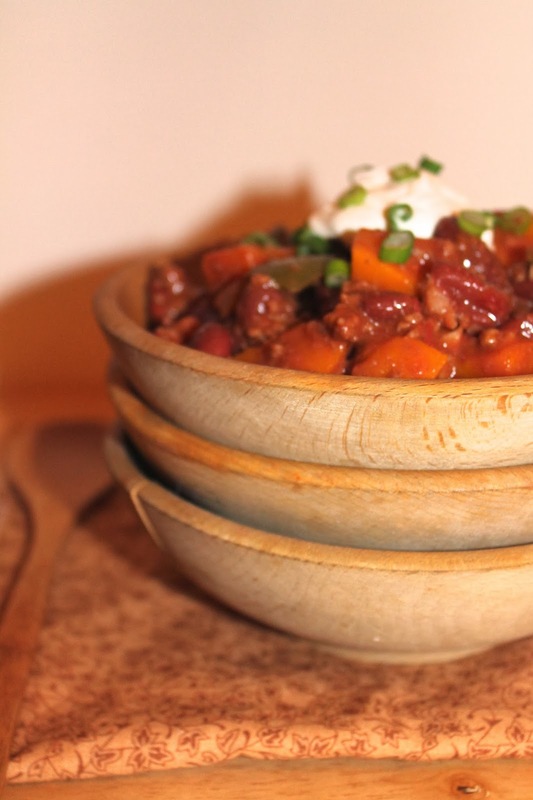 As with most chili recipes, it is very adaptable. This dish is hearty and perfect for a winter evening. This recipe will serve about five to six people. Before I get to the recipe, I'd like to announce the two winners of the Ceylon cinnamon giveaway! I used the random number generator to chose the two winner from the comments. The winners are: Krystal Fisher (comment 30) and Annie Levay-Krause (comment 17). Please email me at savorymomentsblog[at]gmail[dot]com with your mailing address no later than Wednesday, January 22, 2014. I hope you enjoy your cinnamon (which I used again in this chili!) and thanks to everyone who entered! My first batch of homemade lard. I have a confession to make.... before this, I had never made snickerdoodles before. Also, I can't really remember ever eating one either (gasp!). I mean, I'm sure I did as a kid or at some point, but I have no recollection of this. As a food blogger, I've been feeling like this is a large oversight on my part that needed to be rectified. Recently, I was given a bottle of Ceylon cinnamon from Flavor of the Earth and I knew it was time for snickerdoodles to enter my life! 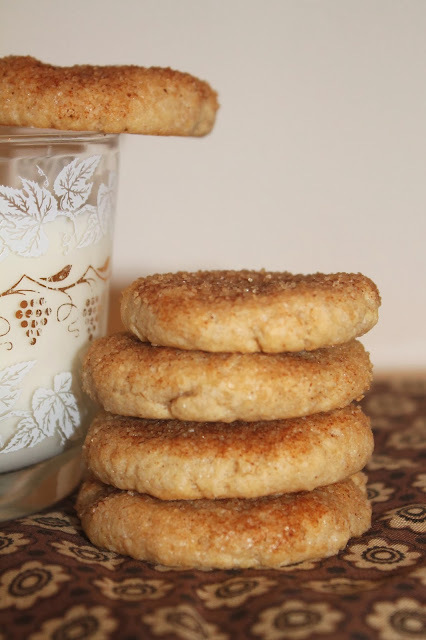 What better way is there to showcase cinnamon than these classic cinnamon cookies? I can't believe it took me so long, but I'm glad I've finally tried these - they are such a simple yet delicious cookie! Below is my recipe that is adapted from How Sweet It Is and it will make about two dozen cookies. Flavor Of The Earth provides Ceylon Cinnamon exclusively via Amazon. We bring in fresh Ceylon Cinnamon bark from Sri Lanka. Then in very small batches, we fresh grind the bark into Cinnamon Powder and immediately pack it into flavor pouches to capture the full freshness and health benefits. And our Ceylon Cinnamon has 1,250 times LESS Coumarin than cassia cinnamon which makes it the safest Cinnamon for consumption. Our Ceylon Cinnamon is also a great source of Manganese, Fiber, Calcium and Iron. It’s also salt free and no chemicals, pesticides, fertilizer, additives or preservatives are used in growing or harvesting it. Read more about it here. I was very happy with this cinnamon. It has the aroma of cinnamon candies or fireballs, but a mild and sweeter taste than Cassia. I've used it to make other things like roasted acorn squash, oatmeal, and Mexican brownies -- they've all been delicious! You can read more about the taste differences here. Flavor of the Earth has been kind enough to offer a free 4-oz. bottle (as in the photo above) to two lucky readers. All you have to do is follow the instructions below for your chance to try some Ceylon cinnamon. You can also purchase it here. As I write this, we are under a "state of emergency" in western New York state because of the winter storm (they are even beginning to call it a blizzard). Snow, WIND, sub-zero temperatures, driving bans, and more. It times like this when there is nothing better to eat than a hot, comforting bowl of soup (while curled up on the couch with a blanket, of course). This chowder is super comforting and warming from the cheese and spices. It's spicy, but not overwhelmingly hot. Plus it is hearty and filling (my husband sometimes complains about soups not being filling enough). 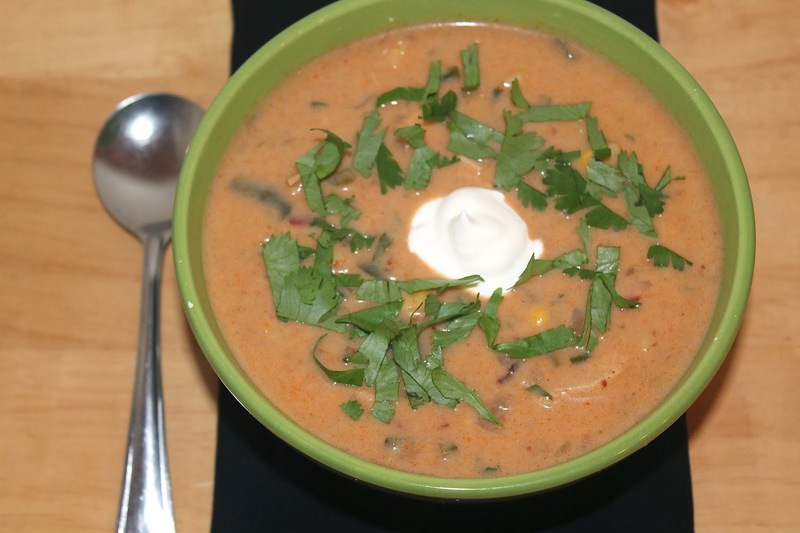 Cubed chicken, diced potatoes, corn, and poblano peppers add heft to this bowl of soup. 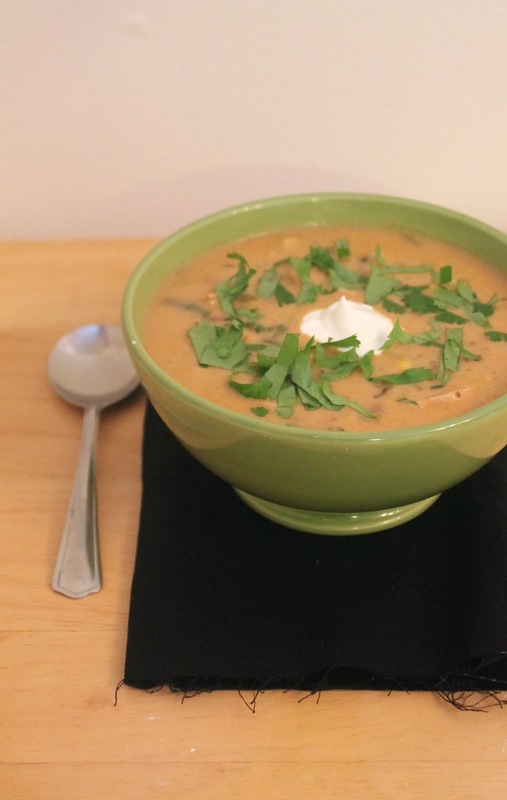 This recipe will make about four big bowls of soup, or six smaller ones. It's perfect for a wintery day. Top it with sour cream, extra cheese, crumbled corn chips, or even some avocado. I've declared 2014 the year of fermentation! I've tried my hand at sauerkraut and received The Art of Fermentation for Christmas, so I'm slowly building my knowledge and experience in this technique. Salted preserved lemons are something I have been wanting to try for a while. I have never actually eaten them before, but after learning about them, they stuck in my head. I love Moroccan spices, so I've been imagining the wonderful flavor that these lemons will impart to couscous, tagines, and much more. I'm super excited for them to finish their fermenting and curing process so I can give them a try! Citrus is in season now, so it's time to get a jar of these going. They will take about 4-6 weeks to be ready to eat, but will last for a year or more in the refrigerator. You eat the rind, so you'll want to get organic lemons. 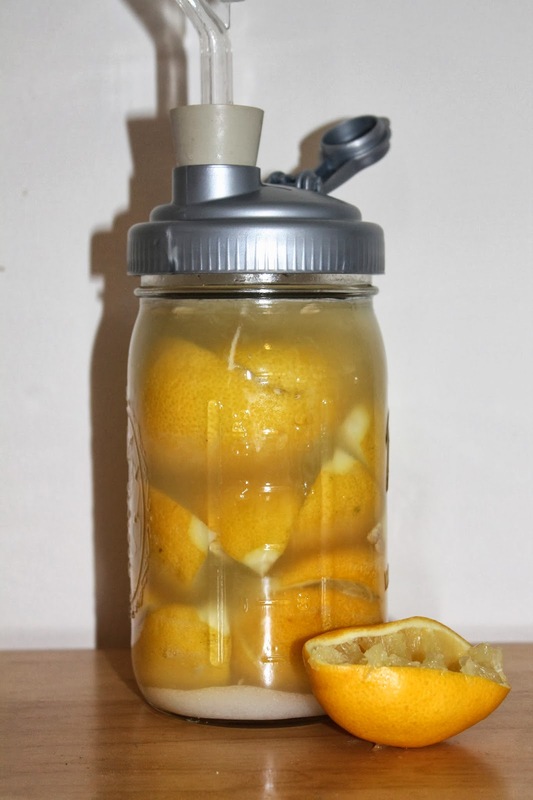 I used regular lemons, but many people recommend Meyer lemons. There are tons of "recipes" for preserved lemons out there and as far as I can tell, there's no prescribed amount of salt - it seems to range from 1/4 cup to 1/2 cup per quart jar. For this recipe, I used a little under 1/3 cup of sea salt and 7 organic lemons. Let me start of by saying how much I loved this meal. I loved eating it, and I loved making it. I loved the process of making the paneer cheese, which I will describe in detail below. This was certainly a time-consuming meal, but it was completely worth it when we sat down to eat. This was only my second homemade cheese (first was ricotta) and I must say that I'm looking forward to trying my hand at more cheeses in the not-too-distant future. Once the paneer was made, the rest of the dish was pretty simple to put together and all the flavors in it came together perfectly. I read quite a few paneer recipes and saag paneer recipes before I attempted this dish. The two I used most as reference were this one from Food Network and this one from Journey Kitchen. If you live near any specialty or Indian markets, you may be able to find paneer, but if you have a lazy Sunday afternoon, give it a try - it's a very rewarding process.